Remote Controls and Indicators Standard. 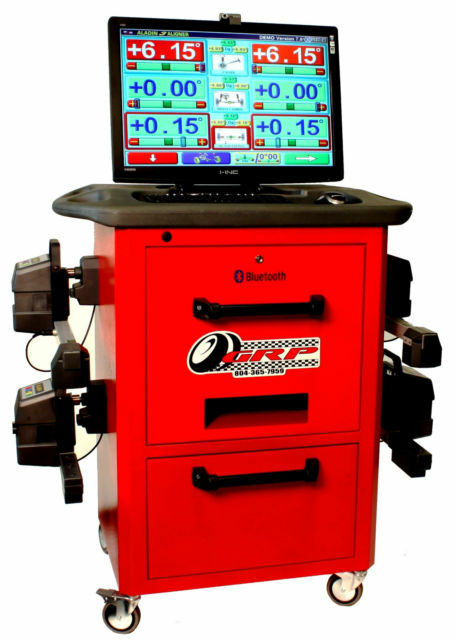 Instructional Screens and Prompts for Proper Alignment Procedures. Alignment number in 88 seconds. Fast rolling runout, just roll the car about 6"
Bluetooth Wireless for stable wireless transmission. No torsion bars or cross members assure maximum access to all under vehicle points. 14,000 Lb. 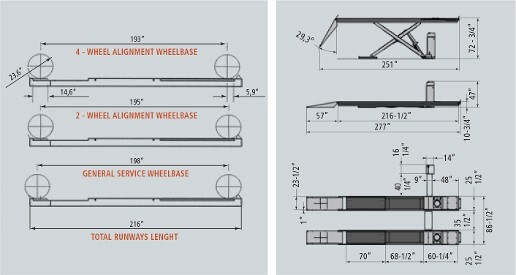 lifting capacity and 195" alignment wheelbase, which accommodates all passenger cars and most trucks through one ton. Features a patented hydraulic leveling system to assure constantly level runways. Available surface or flush floor mounting models, base plate has adjustable leveling to maintain level rack. 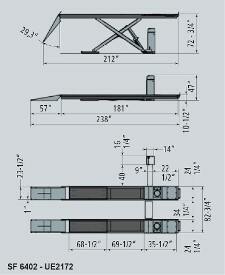 Scissor design allows for maximum space savings and safety, as lift travels vertically no backward movement. 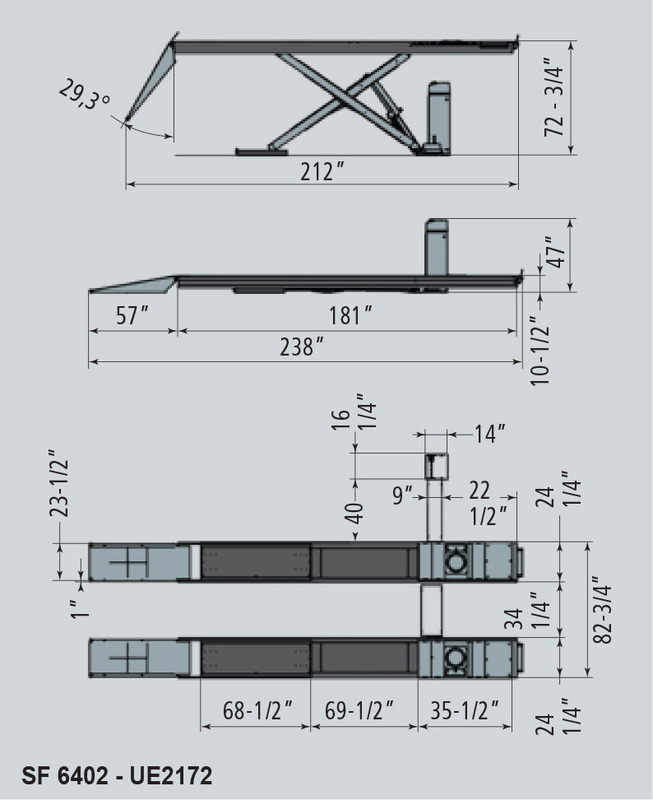 For maximum versatility, the system comes standard with two 7000 lb. air over hydraulic rolling bridge jacks. Dual heavy-duty mechanical automatic safety locks pneumatically controlled from the control panel by one button. Rear slip plates with pneumatic locks that are controlled with one finger from the control panel. 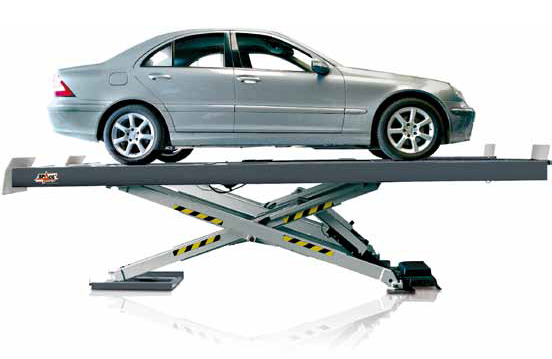 No cross rails or torsion bars between lifting platforms provides maximum accessibility in the working area. 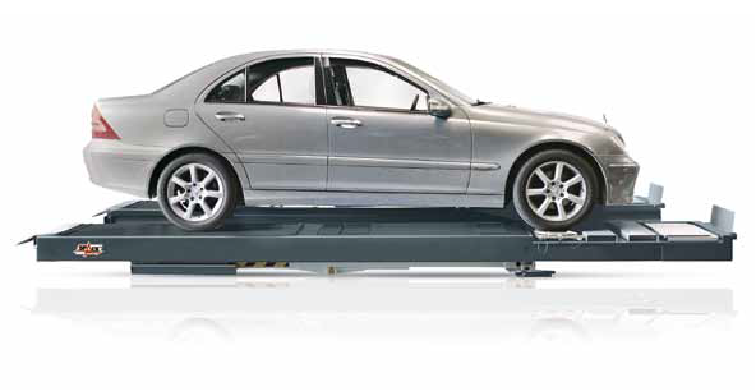 Hydraulic levelling system by means of a patented synchronisation device assures constantly level lifting platforms regardless of weight distribution. All pivot points made with self lubricating bushings for long life. Mechanical locking device with automatic engagement and pneumatic release, ensuring maximum safety when lift is rised. STANDARD version with Hanging Ramps. ON request ramps on the floor.